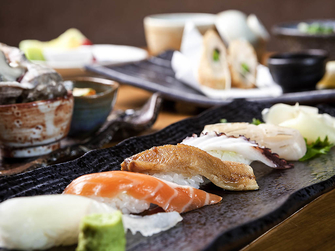 SHUNMI, meaning "the height of flavor" in Japanese, offers the trendiest Japanese dining experience in Seoul. Awarded high scores for its ambience, service, and taste in the international dining magazine Zagat, its interior was decorated by Super Potato, an eco-friendly interior design trendsetter. 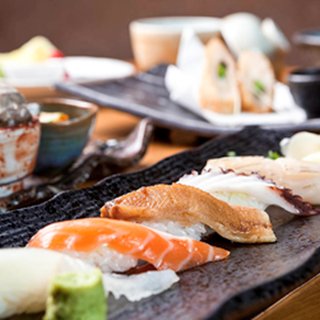 Enjoy SHUNMI's modern interpretation of traditional Japanese dishes in its sophisticated ambience. Browse through its wide selection of sakes and fine wines to accompany your gourmet meal. Why not visit at weekends if you prefer a buffet? 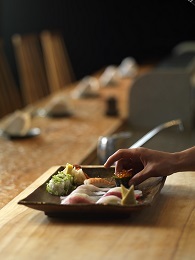 Sashimi, sushi, tetpenyaki, grills and other Japanese specialties are available for your choosing.